(GB) Mint flavoured chocolate. Ingredients: cocoa mass, sugar, cocoa butter, cocoa powder, MILK FAT, natural flavouring (vanilla, mint), emulsifier (lecithin incl. SOYA). 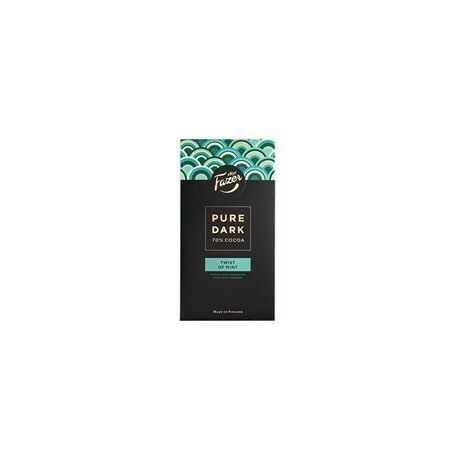 In chocolate cocoa solids 70% minimum. MAY CONTAIN TRACES OF MILK, NUTS, ALMONDS AND WHEAT. Producer: Fazer Confectionery, Finland.